So this episode took us from scene to scene but there was no further development in the story. Absolutely none. 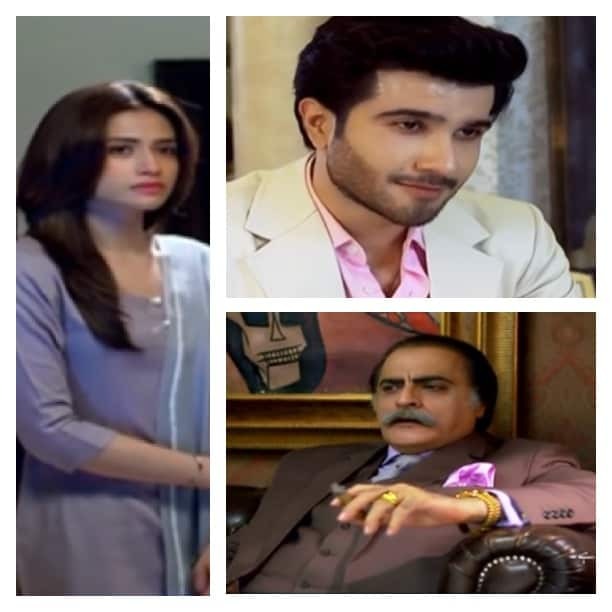 It was evident that Mir Hadi had fallen for Khaani but where do we go from here? And there were also a few big loopholes in the episode yesterday. Firstly, lame attempt at killing Khaani by Mir Shah lacked conviction. Why would he, who in his own words comes from a family where they have been killing people for their own reasons for generations, hire an old inexperienced van driver who thought just hitting someone and making them fall down is enough for their death? Secondly, Mir Hadi was so concerned about her and genuinely believes that he loves her but he has not shown an ounce of regret at killing her brother yet. Unless he feels guilty at what he has done , you cannot believe that he has turned over a new life and the place to do that was before he was so actively pursuing Khaani. From his character development till now, he just seems an obsessive spoilt brat. Khaani is a relatively sane factor in the story but an intelligent woman like her should have been able to guess who is behind all these anonymous gifts and flowers, but maybe she is too preoccupied with her family’s problems to guess her unnamed lover, which is understandable. Her father is quite upset at being paralyzed and her mother has to give up her life in order to care for him which is taking quite a toll on their household. She has arranged treatment for her father and is also fulfilling her younger sisters’ material wishes. One thing that annoyingly stood out is the title now where Sana and Feroz are riding a bicycle lovingly. A drama that started with bloodshed cannot just so soon change into a romantic saga, seems very unreal. Hadi looks downright creepy especially in that scene when he went to check on her when she and her sisters are sleeping and staring at her in the bed. I totally failed to see that as romantic and then you see both of them on a love ride. There are some credits to the play as well. The plot is unusual and depicts some seriously harsh realities which is good, but there is need for a slightly more realistic screenplay. Feroz Khan is doing a good job as the bad guy in the drama, who is very badly brought up and that makes him apathetic and oblivious to anyone else’s feelings except his own, but when he is promoted as the protagonist is where the plot lacks definition. Mehmood Aslam is also great as the ferocious and powerful Mir Shah. Khaani’s parents are also looking very natural and relatable as they fight their battles bravely. I hope next episode will bring some pace to the story.